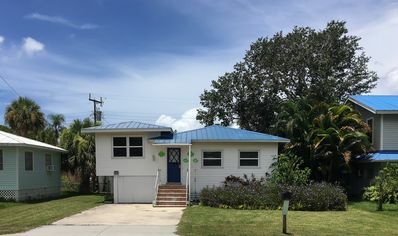 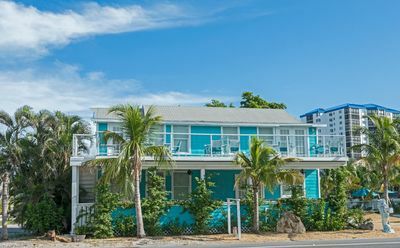 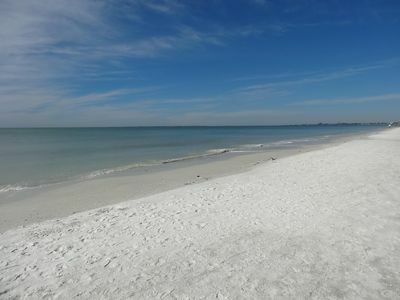 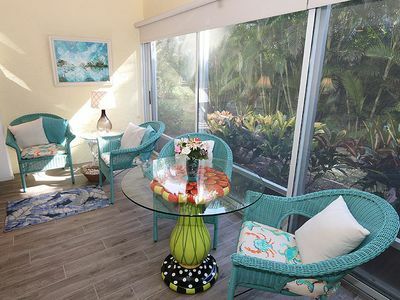 Loggerhead Cay 342 is a very nice 2nd floor, two bedroom/two bathroom vacation rental condominium located on world renowned Sanibel Island, Florida. 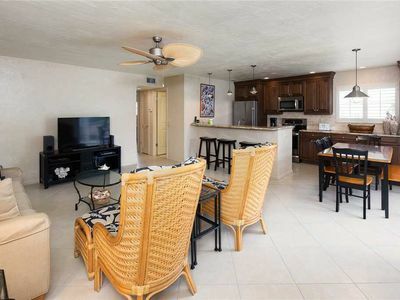 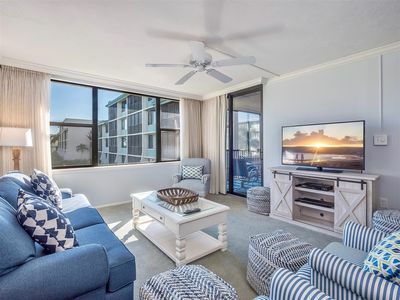 Our condo features a spacious floor plan with a full kitchen, living area with sleeper sofa and screened lanai perfect for relaxing and enjoying the warm Island Breeze. 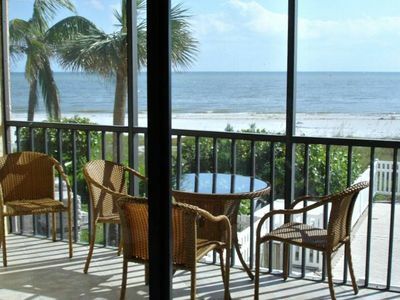 You will even get a partial view of the Gulf of Mexico. 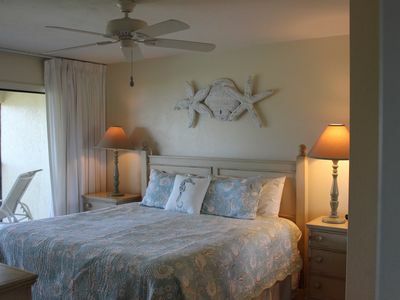 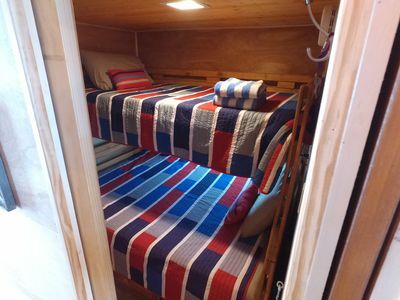 The master bedroom suite has a king sized bed and en-suite bathroom while the guest bedroom has two full sized beds. 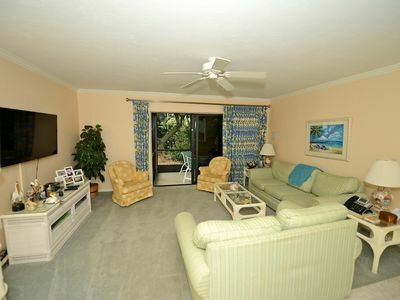 Loggerhead Cay complex has a very large heated pool, bbq grills, tennis courts and is located on the beach. 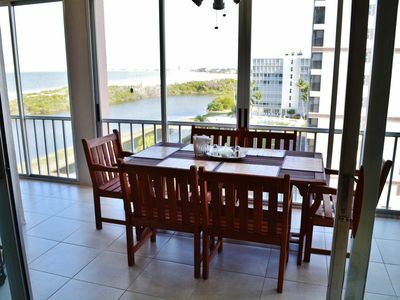 We'll look forward to welcoming you to our vacation home away from home soon! 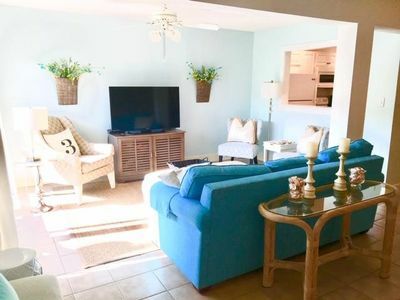 The new owners have re-painted the condo in more subtle blue tones along with all new, modern, beach decor and furniture. 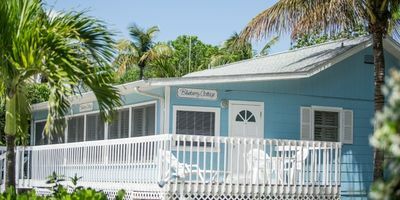 FMB Great Beach Cottage! 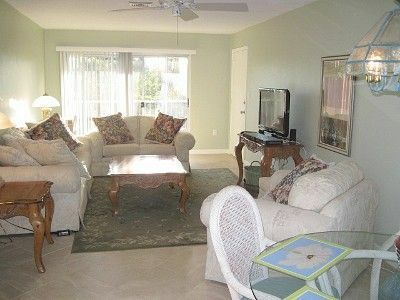 2 BD 2 BA * Walk to Beach & Times Sq * Fenced Yard! 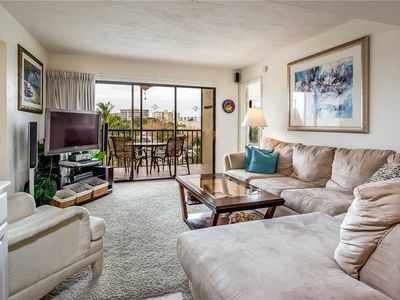 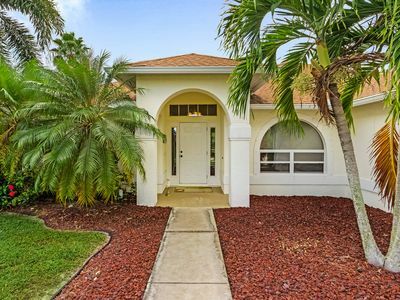 ESTERO#1, MODERN 2BED ,PRIVATE PATIO,STEPS TO BEACH! 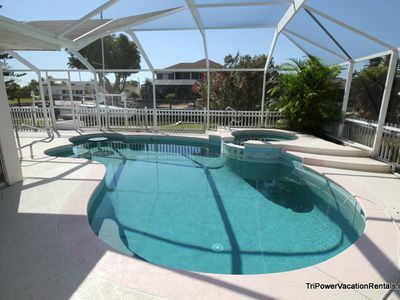 WITH POOL! 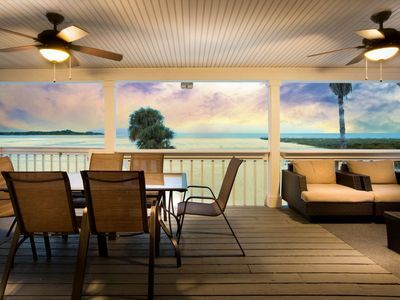 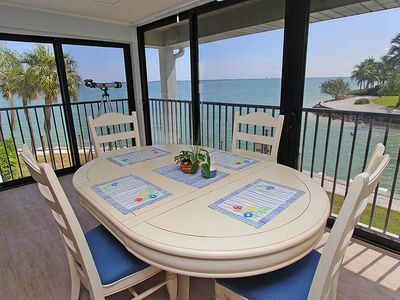 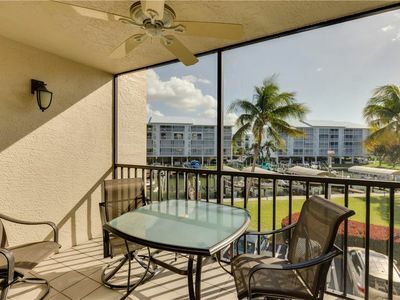 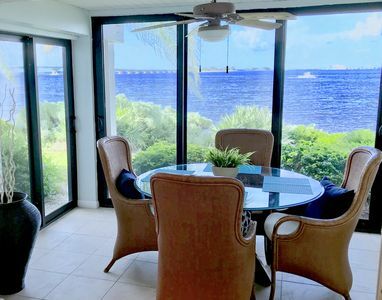 Best views on FMB with huge lanai looking all the way up to Sanibel & Captiva!